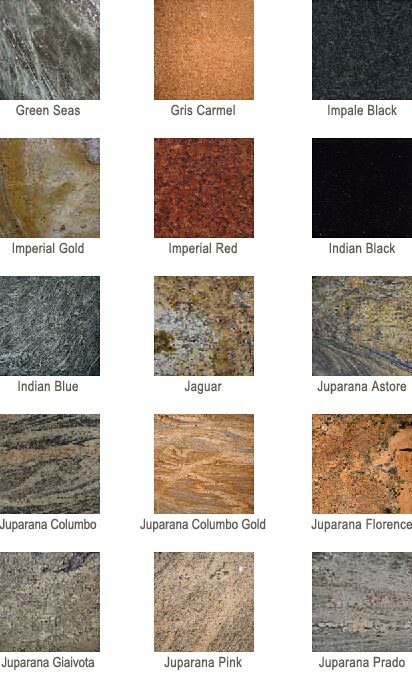 Granite comes in an infinite number of colors and each color group can contain many color ranges. 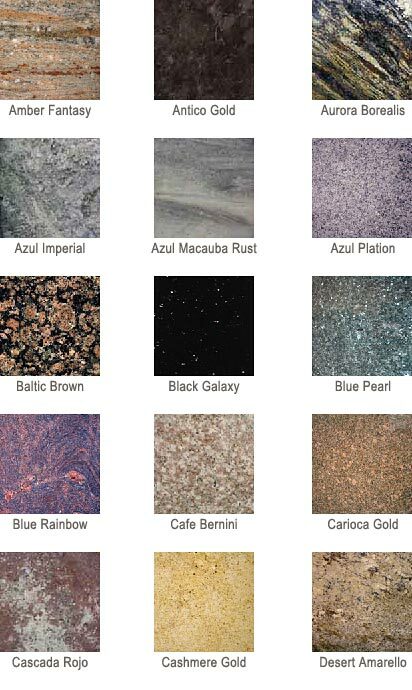 Common color groupings have been identified and named, based on the primary minerals and other elements in the natural make-up of the stone. 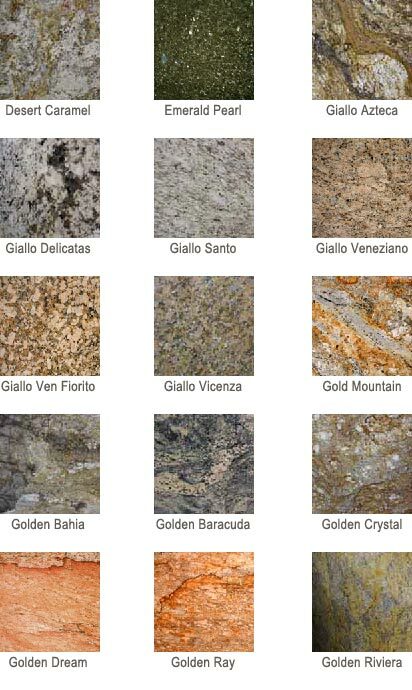 Each slab of granite is unique yet has enough common color characteristics to be readily identified into a specific color name. 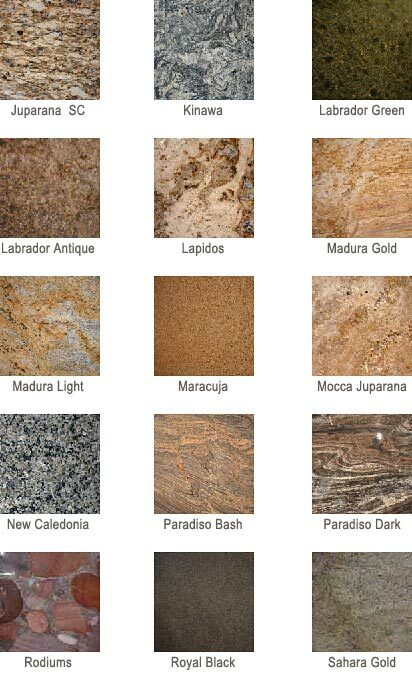 These swatches are a good representation of the actual stone and will help you narrow your options to a managable quantity for final selection. However, every monitor has a slight hue to it which may affect the true color. 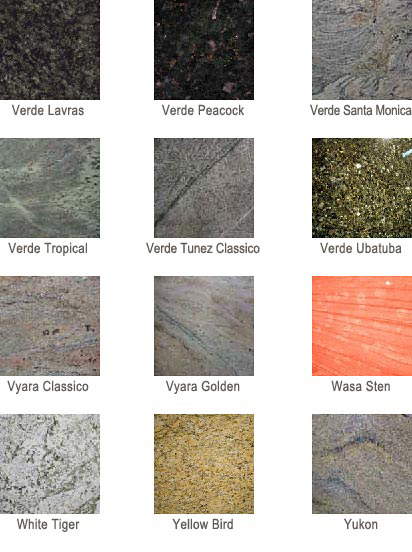 The best way to select stone is to view the actual slabs at the stone distributor locations. Contact me to set an appointment with a distributor near you. 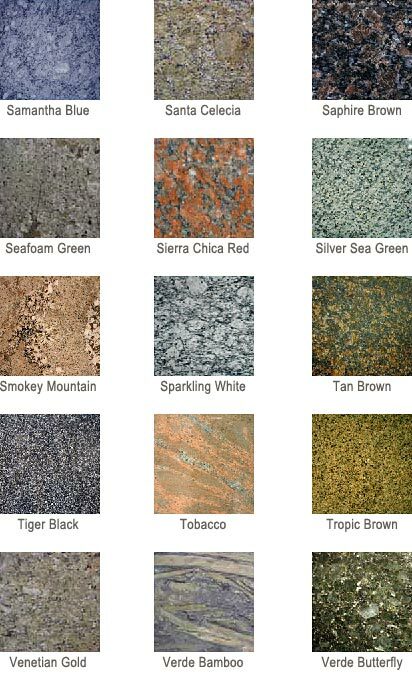 Colors Of Granite Counter Tops Available In The Phoenix Area.